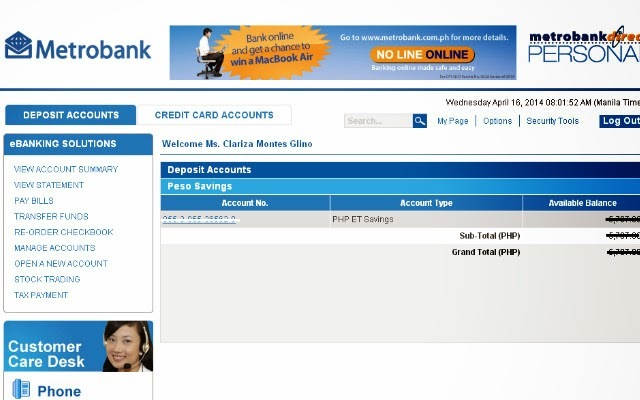 Metrobank Direct is Metrobanks official online banking system. 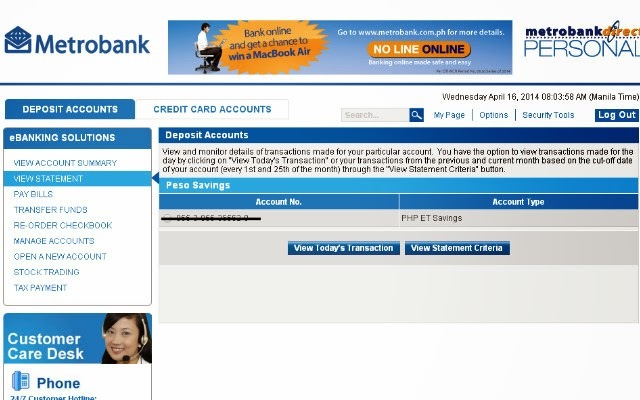 It guarantees a No Line banking with cashless nad convenience for any Metrobank holder through a web based access. I personally loved that I can add fund to my FAMI account without any hassle and I can also schedule it. If you want to read how I do it then read here. 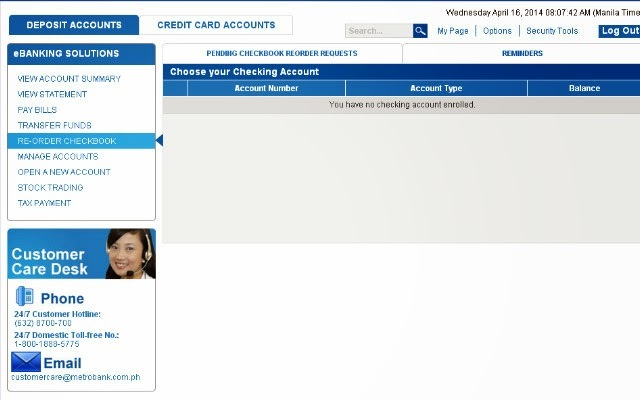 If you still haven’t enrolled in the Metrobank Direct then click here for the process. 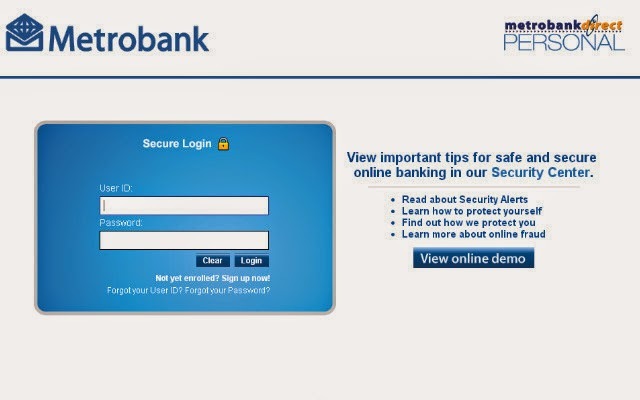 The online portal of Metrobank Direct gives a very clear and easy to understand mesaage. You need to enter your valid Username and Password to have an access. Take note that the password must be alphanumeric and includes capital letter/s for security purposes. 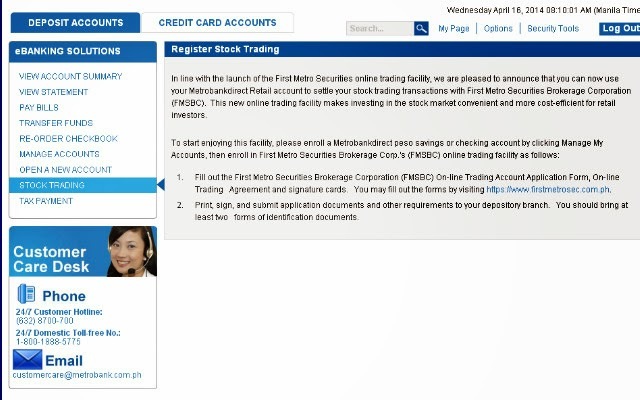 The Home Page gives all the provisions a Metrobank Direct member can access. Pay Bills. I already tried this one for my FAMI account and it works 🙂 To read click here. Transfer Fund. 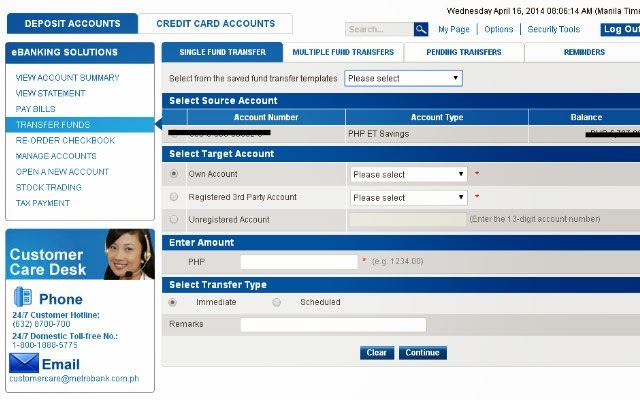 If you would want to transfer you r money to another Metrobank Account then you can easily do it here. 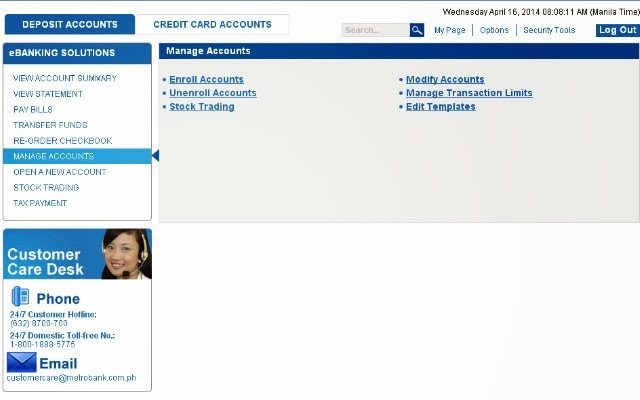 Manage Accounts. This is the main settings page of the online account. 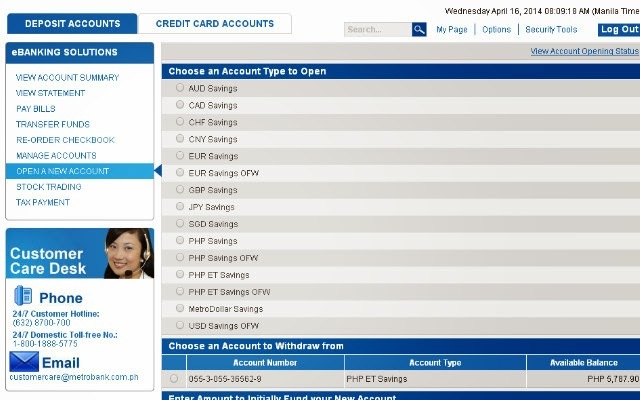 You can easily provision how your account will work. Stock Trading. I still haven’t tried this one because I already have my FAMI account but I will definitely research more about this. Tax Payment. 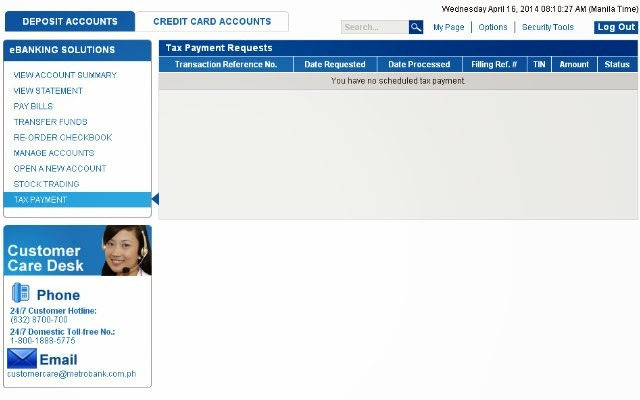 Another great advantage of having a Metrobank Direct account is paying your Taxes online. 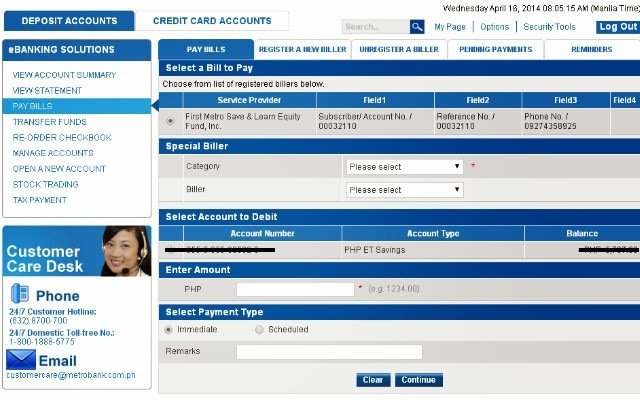 Metrobank can easily transact the said payment to BIR.